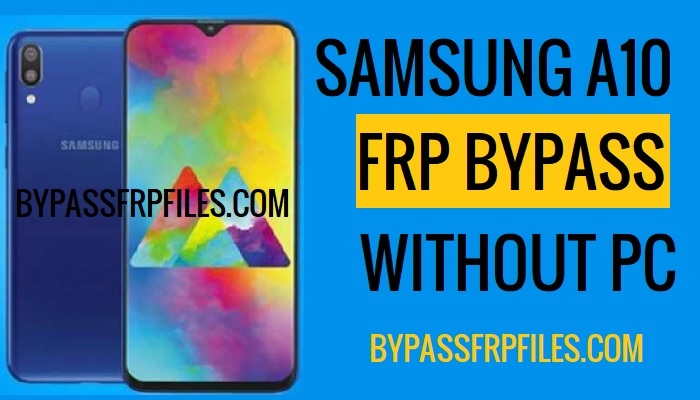 Once again welcome, today we are here share you another latest method that helps you to Bypass FRP Samsung Galaxy A10, After the update of the latest security patch then the talkback back “help & feedback” option is no longer available in the talkback settings to SM-A105F FRP Bypass, to execute this method you need to download some FRP files and pin lock enabled sim card and a working good wifi connection for downloading FRP applications, then you can easily unlock FRP from this device. -First of all, connect your device to a working wifi connection. Make sure: Press the power key and remove the sim card same time, otherwise, this method will not work. -Once you successfully follow the process then press the power key again to wake up your device, (Check Below image). -Now you will get a popup “No Sim Card inserted”, tap ok there. -Then you will get a “notification” on your device screen. -Swipe the “Notification” from right to left. -Now you will get a “Gear” icon and a bell icon. -Now you will be redirected to “Notification Settings” page. -Then click on the “See All” button, below of the “Google Play Store” option to Bypass FRP Samsung Galaxy A10. -After that, tap on the “Most recent” and select “All” option from there. -Then tap on the “In-App Notification Settings”. -Now tap on the “History & Privacy”. -Tap on the “Youtube Terms of Service”. Congrats now you have successfully access “Chrome Browser”, now you can easily download frp files to SM-A105F FRP Bypass. -Just type there “Bypass FRP Gadgetsdr” then hit the search button. -But at first, we need to download only one application that helps you to Bypass FRP Samsung Galaxy A10 without PC easily. -Just click on the “Done” button to SM-A105F FRP Bypass Without PC easily. -Now you have successfully Bypass FRP Samsung Galaxy A10 without PC easily. Thanks for visiting us, if you facing any problem with this SM-A105F FRP Bypass | Bypass FRP Samsung Galaxy A10 Without PC, the method then you can comment us on below.